Cool, refreshing, purifying. These are the main words that describe this delicate aromatic herb we use so much in our food and beauty products. While I always have a fresh bunch in the refrigerator for cocktails and smoothies, sometimes I buy mint just to keep it in a glass with water, to enjoy its scent and the way it brightens the whole room. And yes, I tend to use it in as many DIY products as well, especially while in season during summer. 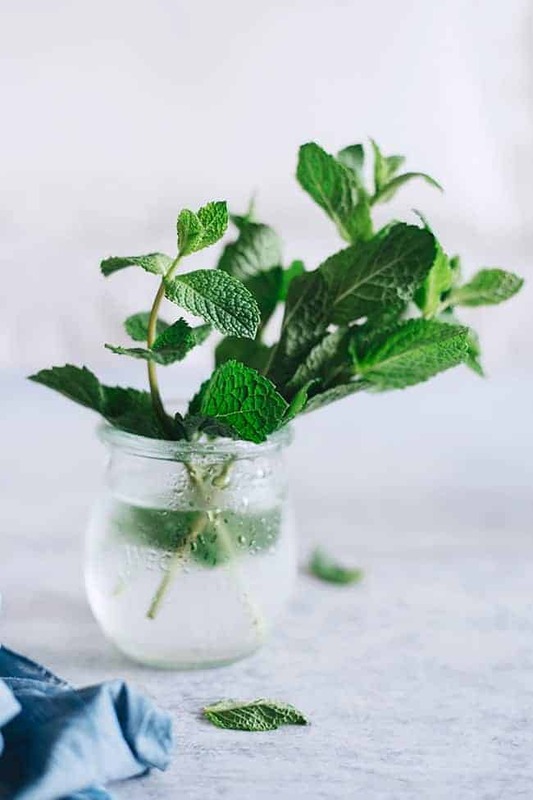 The health and beauty benefits of mint go way beyond refreshing and cooling. Its essential oils have anti-microbial and digestive soothing properties, and you can easily calm your tummy issues with a fresh mint tea. The high concentrations of rosmarinic acid offer your cells antioxidant and anti-inflammatory protection, reducing the free radical damage and blocking the production of pro-inflammatory chemicals. Your airways also benefit from mint essential oils; it helps keep them open for easy breathing and relieves allergy symptoms. Mint acts as an anti-pruritic and antiseptic agent, soothing and calming itchy or infected skin. Perfect for soothing mosquito bites! The vitamin A in mint reduces oily skin, and also strengthens, rejuvenates and refreshes the tissue. Concentrated mint tea soothes cracked heels, balances foot perspiration and removes odor. The fragrance of mint calms your mind and balances hormone production, making your skin glow from inside out. 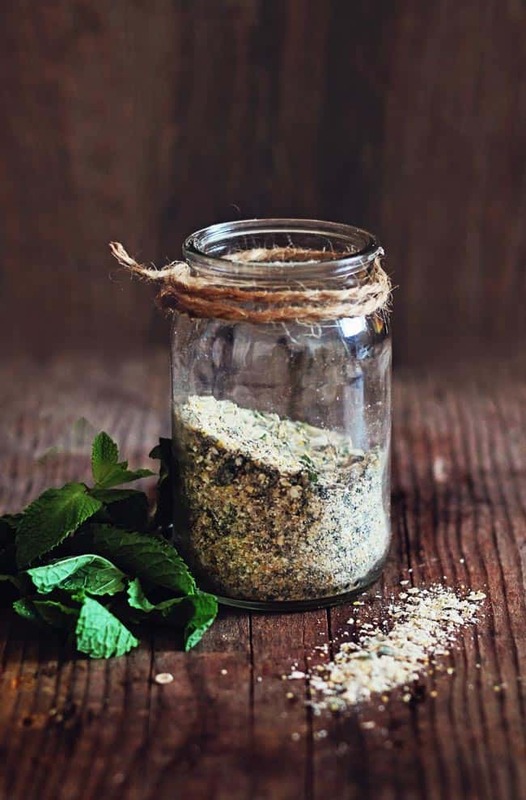 Fresh mint can be very soothing and anti-inflammatory, perfect to incorporate into an exfoliating body scrub. Blend ingredients until fine powder. Store in airtight container and then use as body scrub in the bath or shower. We’re all about ice cream this summer – especially if it’s dairy-free. The refreshing flavor of mint turns this vegan ice cream into a light and airy summer delight. It is ready literally in minutes (except the freezing time) and you don’t need and ice cream machine to make it. And it comes bathed in delicious chocolate sauce! Add the bananas and coconut milk into the food processor (without adding any other liquid) and process until you obtain a smooth cream. Add the peppermint extract and pulse to incorporate. Transfer the mixture into an ice cream container and freeze for at least two hours. Melt the chocolate in a sauce pan over low heat. 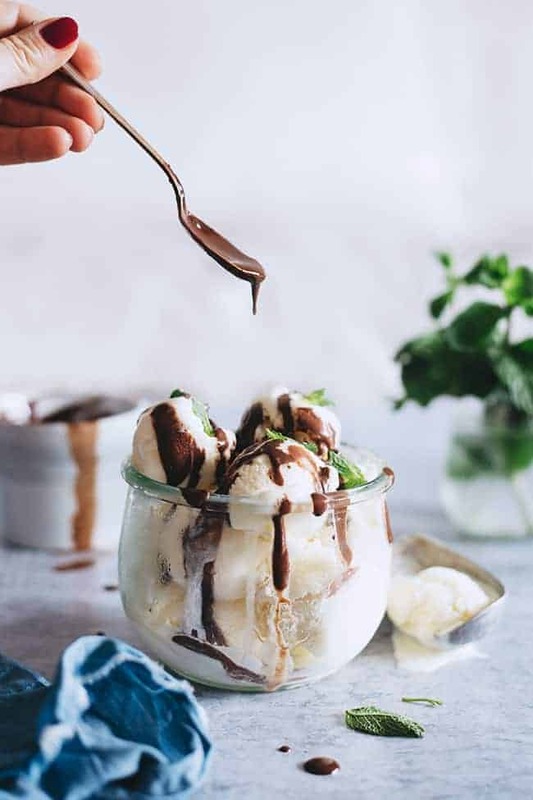 Scoop the ice cream into serving bowls, drizzle with melted chocolate, garnish with fresh mint leaves and serve. Thank you, Ana. I love this health tips for ice cream, very refreshing and purifying. This recipe looks to die for! This is my first summer being vegan so I am getting ice cream blues! Maybe this will cure them! LOVE this post! I had no idea mint was so powerful!! I am definitely going to start rubbing mint on my mosquito bites!! LOL!